Some detractors are claiming that Captain Marvel will finally be Marvel Studios’ first big bomb, and that it won’t be able to live up to the legacy of the MCU. But there is no indication of that with first day ticket presales, which are soaring high at both Atom Tickets and Fandango. Thus far, Captain Marvel is on pace to shatter Marvel pre-sales records for Atom Tickets. Captain Marvel has already eclipsed other Marvel movies including Deadpool 2, Ant-Man and The Wasp, Black Panther, and Venom in the first 24 hours of pre-sales on Atom Tickets. This is remarkable because the movie’s opening is still two months away. And while Avengers: Infinity War still holds the top spot for best 24-hour pre-sales, tickets to the movie went on sale just 42 days before it’s opening. It’s looking like Captain Marvel could outpace it in terms of overall pre-sales on Atom Tickets. Captain Marvel is one of the most anticipated movies of 2019 according to a survey of movie fans conducted by Atom Tickets last month. According to the same survey, moviegoers are also excited to see Brie Larson in the movie. Related: New Captain Marvel Toy Reveals a Huge Nick Fury Spoiler? Atom Tickets is enabled on over 21,000 screens in the United States. Fans can search for films instantly, invite friends, buy tickets, reserve seats and even pre-order concessions using the mobile app. Atom Tickets is available as a free app in the Apple App Store and theGoogle Play Store and online at atomtickets.com. Captain Marvel resale tickets are also soaring high at Fandango. 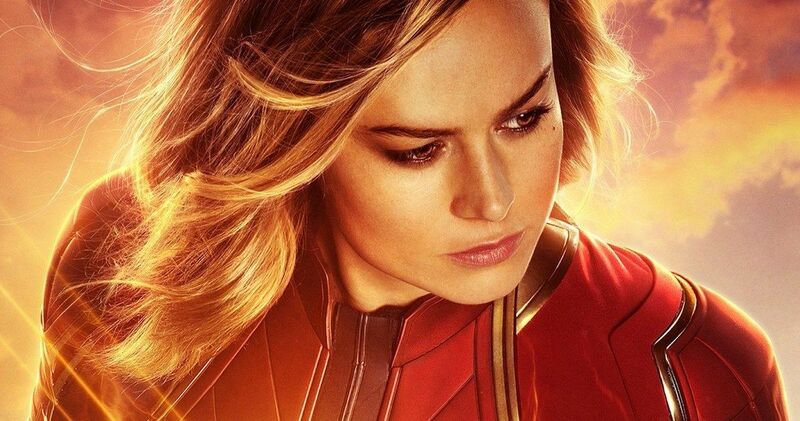 Advance tickets for Captain Marvel went on sale on Fandango this past Monday at 6 p.m. ET, and in its first 24 hours of sales, the highly anticipated blockbuster has taken its place among Fandango’s Top Three MCU First Day Pre-Sellers (alongside Avengers: Infinity War and Black Panther). Says Fandango Managing Editor Erik Davis. Captain Marvel is going to have a strong opening weekend in March, arriving before the onslaught of summer movies. How long it stays at the top of the charts will have to do with how good the actual movie is. Some comic book fans are hoping the movie fails, but by all indications, that’s definitely not going to happen. It looks like the MCU has another substantial hit on its hands.